The word ‘arch’ means chief in the Greek language. 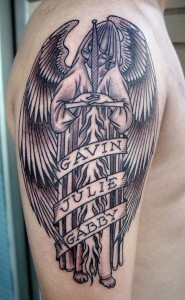 The archangels are seven in number and these angels hold the highest rank in the tattoos. They are known to be closest to God, as they stood before God in Revelation. Like I have previously mentioned, the most famous archangel tattoo is that of St. Michal, a warrior angel. Lucifer is another archangel, who became a fallen angel with the name Satan. 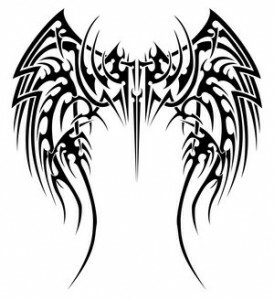 The angel of death is in the category of dark tattoos and is also known as the Grim Reaper. Však, there is a difference in the way both angel of death tattoos and grim reaper tattoos are pictured. The angel of death is shown with wings, whereas the grim reaper is shown without wings. Sometimes Satan is identified as the angel of death. In the Roman Catholic faith, there are two angels of death. Michael is the good angel of death and Samael is an evil angel of death.